The highlight of 2014's Armageddon convention was while every pop-culture fan and their dog was lining up to trial League of Legends, I stepped inside a 'no cameras' room and ripped spines, test driving Mortal Kombat X. As soon as I saw my favourite, Kano on the playable list, I was off. Blown away by how interactive the environments were, the creativity, the all-new x-ray modes, the atmosphere and just how strong the characters looked, it really felt like I was playing the cult-killer franchise all over again (whatever happened to 'friendships'?). This week, after drip feeds of character specific trailers, the first gameplay trailer has arrived. 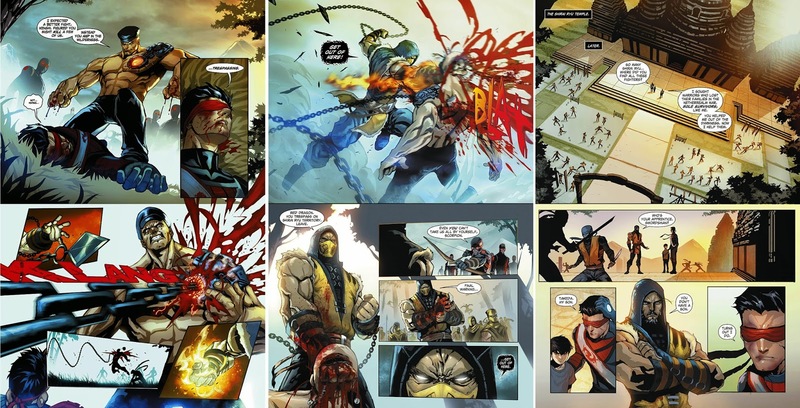 As if by freaky timing, fellow Warner Bros. company DC, released the first issue of their Mortal Kombat X comic. Vid first, pictures second. What did that witch do to Kano?! Recover, recollect, refocus Dan. 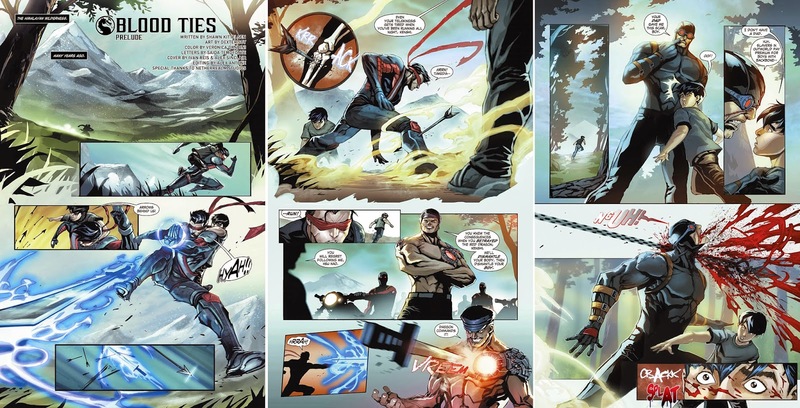 Back to that preview of Mortal Kombat X #1.